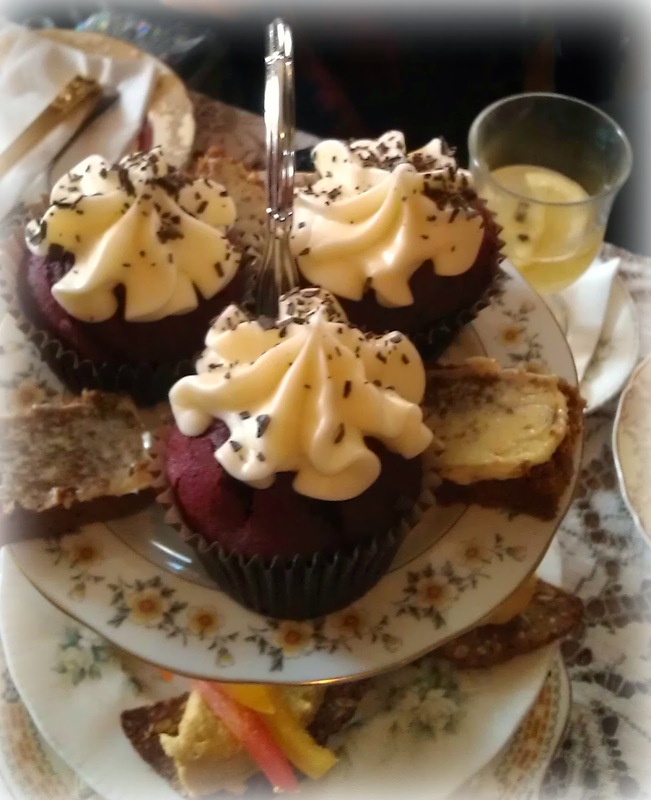 I’m a huge fan of Afternoon Tea, I think it’s the fact that it comes on a three tiers, and it’s always so exciting to see what’s on each layer! 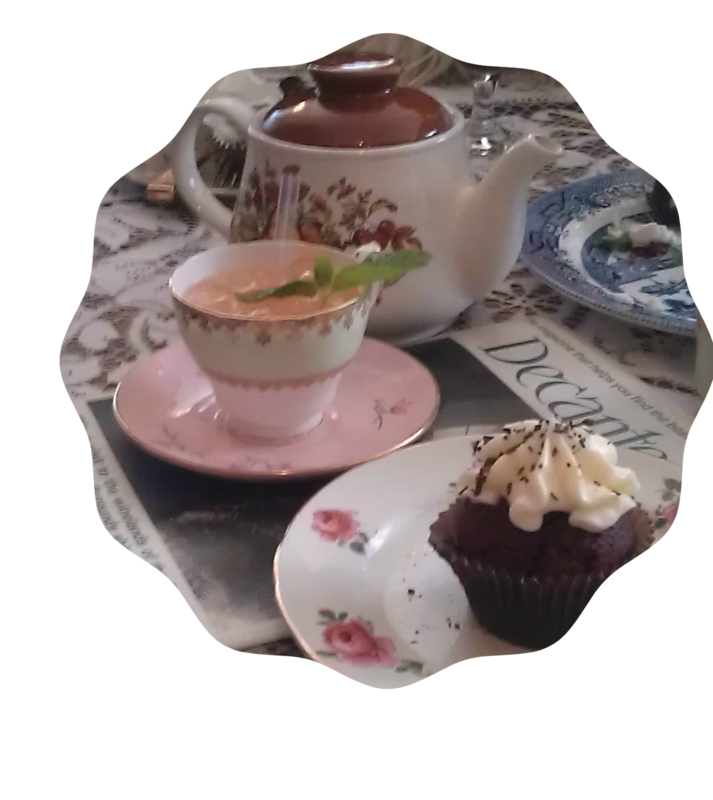 So when my friend suggested a Mad Hatters Tea Party at the Roseleaf in Leith, Edinburgh, I was all in. This was to be a tea party with a difference firstly you get a hat to wear and secondly it was all vegetarian. My friend, whose veggie, was sick of going places and just getting a crap egg sandwich to eat so this was absolutely perfect for her. I think even the most carnivorous of the bunch were satisfied with the array of food we were given. 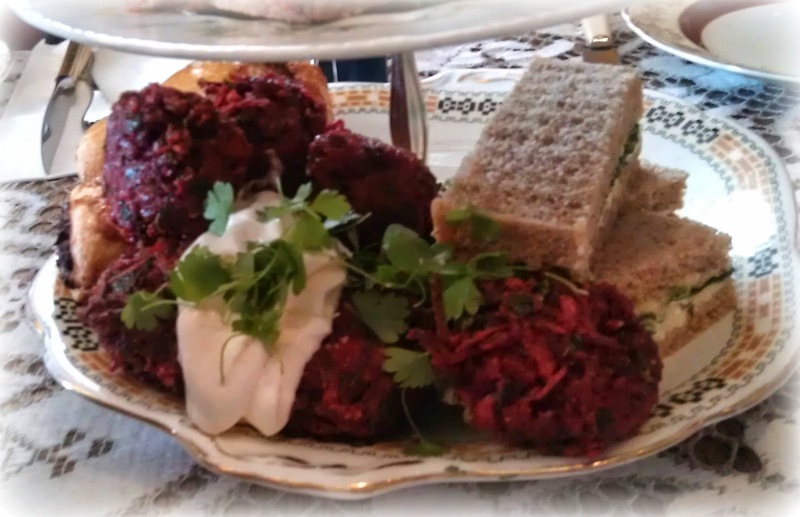 My particular favourites were the beetroot bon bons, which were kind of like a beetroot onion bhaji – if that makes sense and the veggie haggis sausage rolls. I’m definitely going to try and make the veggie haggis sausage rolls, haggis plus pastry what’s not to love? The saffron hummus could perhaps have done with a bit more flavour but that’s just me being picky. The cakes were truly delicious a perfect end to the meal, when an extra piece of gingerbread was discovered I thought there might be a fight, but like the great friends we are we divided it between three of us. Another great thing is that you can get cocktails to share from a tea pot which is very cute if you ask me. Unfortunately I was driving so I was on the coffee but it was really nice so I didn’t feel like I was left out. They also have a large selection of different teas as well. I’ll definitely go back to The Roseleaf, the staff were extremely helpful and friendly, the atmosphere was fantastic and the food was very tasty.